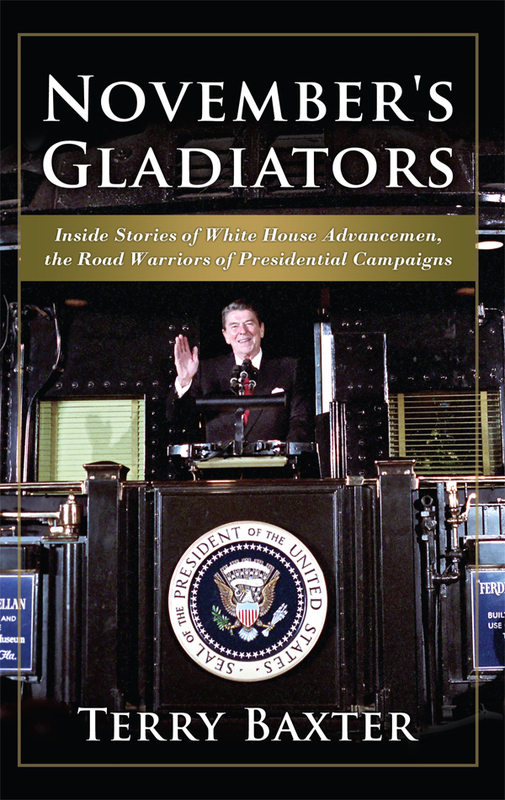 For additional information about this book, visit the website www.novembersgladiators.com. "Terry Baxter gives us a peek under the flap of the tent we call a national political campaign–hilarious, intense, exhausting, and ultimately rewarding." - Bill Brock, former U.S. Senator, U.S. Trade Representative, Secretary of Labor, and Chairman of the Republican National Committee. In November's Gladiators, unforgettable characters wrestle with impossible deadlines, dirty tricks, and logistical nightmares, to create the greatest electoral landslide in American history. Terry Baxter has been a television director, a race car driver, a Hollywood stunt man, and a senior business and government executive. He has served three Presidents of the United States and headed a Fortune 500 company. He and his wife Patricia divide their time between New Hampshire and Key Largo, Florida. An avid boater, he pilots his boat, Armagnac, along the Atlantic coast each spring and fall.